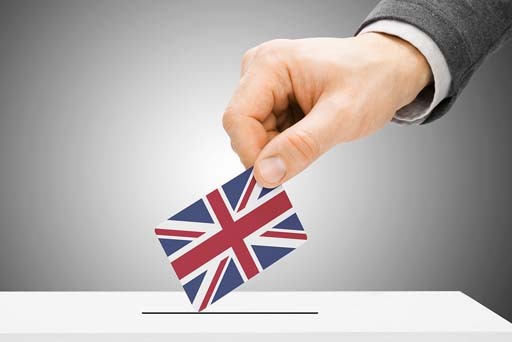 How Will The 2015 General Election Affect Small Businesses? At the beginning of 2014, there were around 5.2 million businesses operating within the UK, 60% of which were small-to-medium sized enterprises (SMEs). So it’s no surprise that small organisations are often regarded as the driving force behind our economy. As the adage goes, for the UK to succeed, SMEs must succeed first. Therefore, with the UK general election just around the corner, it is vitally important that SMEs pay careful attention to upcoming party manifestos and understand what they will mean for them. So, how might the 2015 general election affect small businesses in the UK? Possible End to Entrepreneurs’ Relief? The upcoming General Election is cause for a lot of uncertainty – including whether Entrepreneurs’ Relief will be reformed. ER can let business people disposing of a company pay Capital Gains Tax at 10%, as opposed to 28%. This means it can result in tremendous tax-savings for directors doing a solvent liquidation – i.e. an MVL. However, it does mean that HMRC is missing out on some tax revenue. The Tories have identified SMEs as the biggest contributor to the UK’s ‘tax gap’ – (i.e. what should have been collected by HMRC versus what actually came in). Reforming ER could be a way to address that. Labour is reportedly less keen on reform as they have praised ER and says it rewards business owners. It is anybody’s guess as to who will win the Election and what the new Government might do with regards to Entrepreneurs’ Relief. What we can say is that we are already helping directors who want to do their MVL now – as they are worried that a new Government might change the tax savings they can get from ER when they close their company. The growth voucher scheme is expected to continue on as before, despite the outcome of the election. Support and investment are two major aspects that party manifestos are more than likely to address; so all SMEs should keep up to date with what each party has to offer. Last year, growth vouchers were given to SMEs as a way of access to strategic advice – this looks set to continue. It may seem implausible and laughable at first, especially in such rough economic times, but the UK’s financial prospects are looking better than ever. 2014 was a record breaker in terms of economic performance and prospects, providing the best 12 months since the recession began. It is for this reason that many chief financial officers around the UK have predicted a wage increase of 2.9% on average for our country’s SMEs. Many businesses that export goods and/or services have been bitterly disappointed about the amount of power, opportunities and capacities they are able to access. Previous promises of an export-led recovery have failed to materialise in years gone by and export business owners are demanding answers. Therefore you can expect the new party manifestos to have more pledges regarding exporters and their capacities. We expect to see more support offered to the private sector in the up and coming party manifestos. Why? Towards the end of last year SME’s accounted for 99.3% of all private sector business within the UK. With those figures in mind, it’s hard to think of a reason why parties will not address this. The British Business Bank has yet to make an impact on providing extra finance to SMEs so we should expect to see more activity in that regard. There is no doubt each party will have their say on this matter, but you may also expect to hear pledges around alternative finance. In a bid to acquire more access to funding, you can expect to see more and more businesses obtaining alternative finance in the coming 12 months. For this reason, you would assume the next government will wish to increase this sphere of activity. Perhaps one of the biggest concerns for business and the population as a whole is whether or not Britain will remain in the EU. The possibility of Britain leaving the EU will have much wider financial implications for us all and will completely re-shape the way we do business overseas. This will be a major talking point for all parties and perhaps the main focus for some, so expect to see a lot on this subject in the coming party manifestos. If you are worried about the upcoming government policy changes and how they may affect your business, don’t fret alone as help is at hand! In such difficult and fast-moving economic and political times, it can be hard to get your head around things and know what to do next. Our team here at Clarke Bell are more than happy to assist, inform or simply provide advice on your current business matters. Previous 2015 – The Saviour of Small Businesses?